The town of Nienburg (Saale) is located in the center of Saxony-Anhalt. Within less than 100 kilometers you can reach the region of Harz, the "Wörlitzer Park", but also the city of Halle (Saale) as well as the provincial capital Magdeburg. There´s more than a quarter to a million people living in this radar. Wide fields, neat parks and hiking trails characterize the picture of the town. To explore our town, you can also do this by bicycle. According to our saying "In Nienburg it flows together" you don´t only find the junction of the rivers Bode and Saale, but also the "German Allee Street", the "European hiking and biking trail", the "Saale-hiking and biking trail", the "Straße der Romanik" and many more interesting things. The diverse landscape, the many superb overlooks or a picnic on a clearing compensate for your effort. 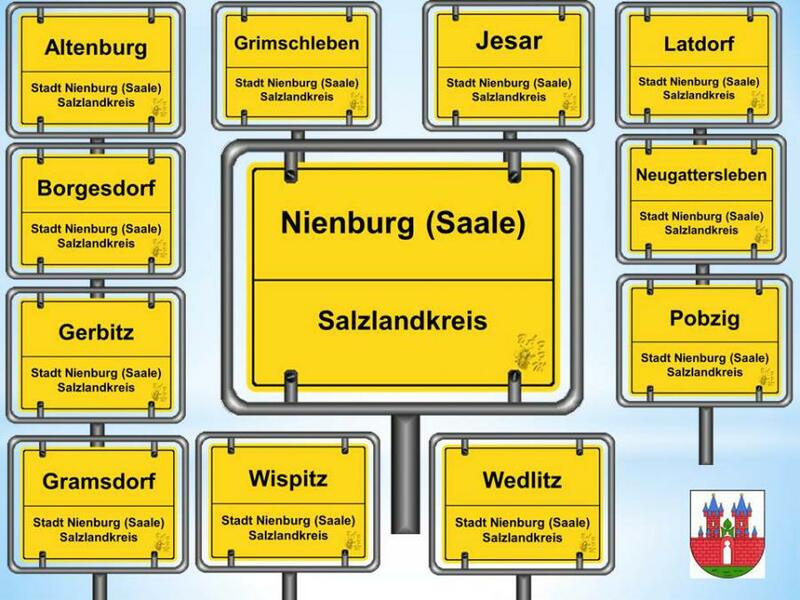 You can also reach our town well with the car, for example on the Highway A 14 Halle (Saale) - Magdeburg as well as the federal road B 185 Bernburg (Saale) - Köthen (Anhalt) and B 71 Bernburg (Saale) - Magdeburg. We offer you biking tours between Elbe and Saale as well as gastronomic facilities from bistros, shops, doctors, banks, police stations, churches and youth facilities to hotels.